…Clark because it’s red!! (if you don’t know Clark, his favorite color is red). …Cade because it tastes so awesome!! 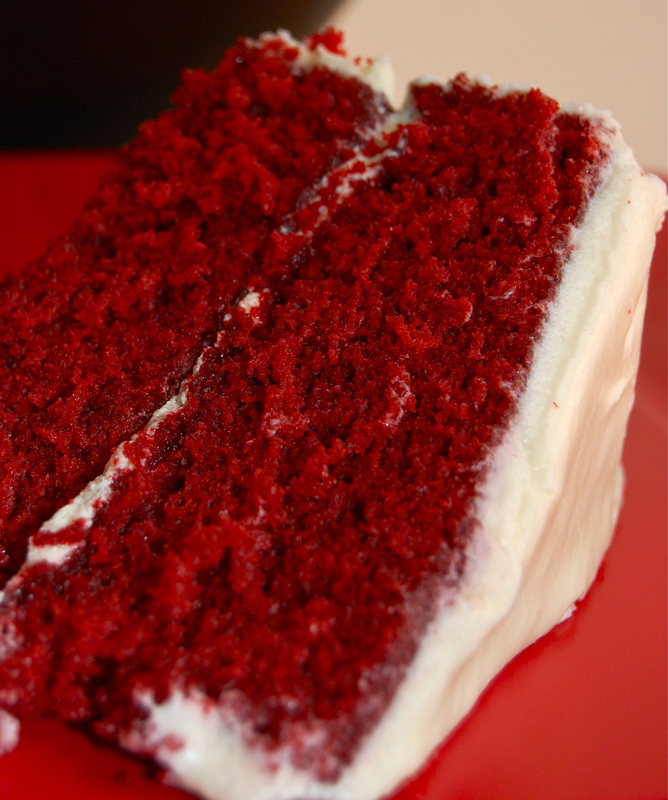 I just so happen to love this cake and the icing is unique….but wonderful! 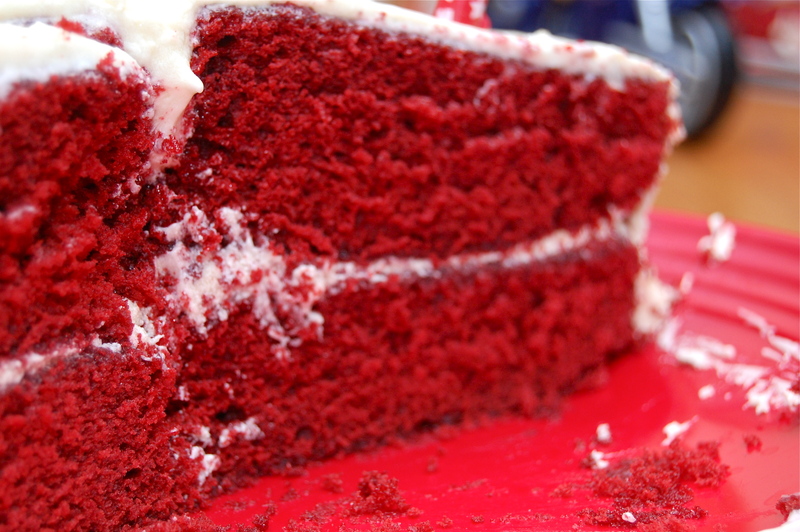 However, I know lots of people that use cream cheese frosting instead….which is great, too. For Cake: Preheat oven to 375 degrees. Grease and flour two 9 inch round cake pans (or a 9×13 pan). In small bowl, combine flour, cocoa, baking soda, and salt. Set aside. In mixing bowl, cream shortening and sugar. Add eggs and combine well. Alternate adding flour mixture and buttermilk until all is added and combined. Lastly, add vinegar, vanilla and red food coloring. Mix well again. If using 2 round pans, divide batter into pans. If using 9×13, pour all of batter in pan. Bake for 20-25 or until toothpick inserted comes out clean. Let cake cool completely before adding frosting. For Frosting: Cook flour and milk over medium heat until it becomes thick, stirring constantly. Let this cool completely. (I actually do this part before I start making the cake.) Once cooled, whip this with the butter, shortening, sugar, and vanilla for at least 5 minutes. It should be light and fluffy. Spread this on cooled cake.